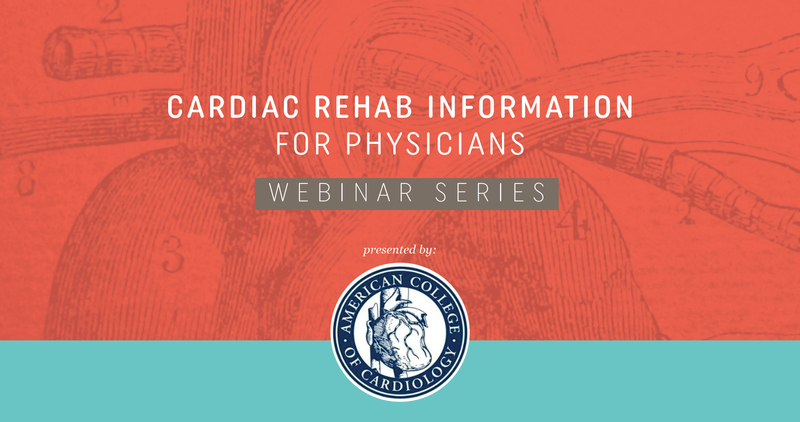 Have you seen the new webinar series from the American College of Cardiology (ACC)? The goal of this program is to provide physicians with in depth information about the benefits of cardiac rehabilitation programs. This in-depth series outlines various components of cardiac rehab, from patient eligibility, referral and enrollment to exercise prescription and tobacco cessation and behavior change. This invaluable tool is a great asset to support the numerous benefits of cardiac rehabilitation. Better yet, it is free! To access the webinars, click here.